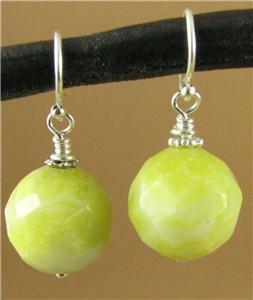 Home › Lemon jasper and sterling silver earrings. 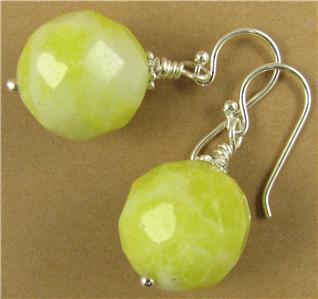 Yellow, faceted. Dangle. 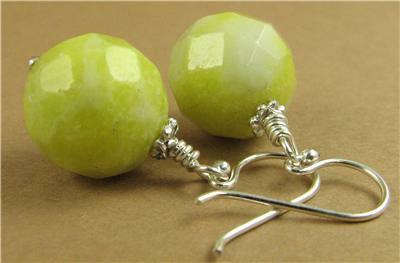 Lemon jasper and sterling silver earrings. 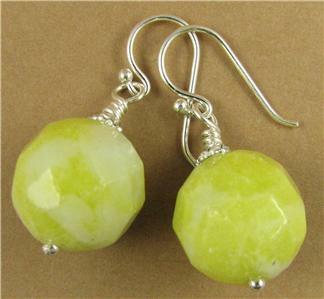 Yellow, faceted. Dangle. 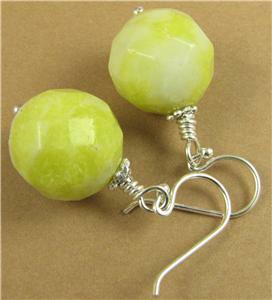 This is an unusual and striking pair of lemon jasper and silver hanging earrings. 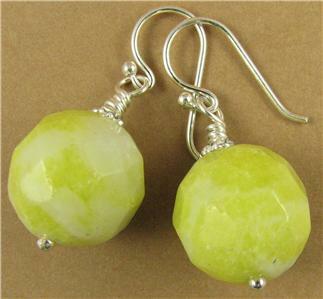 The stones are natural lemon jasper and have been faceted to catch the light. The wire inside and the ear hooks are solid sterling silver. 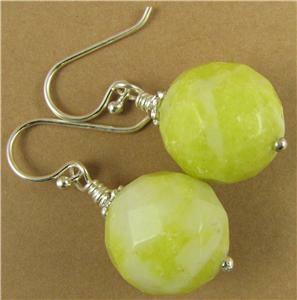 The jasper stones are 1.5 cm across, and the earrings are 3 cm long, from the top of the hooks.